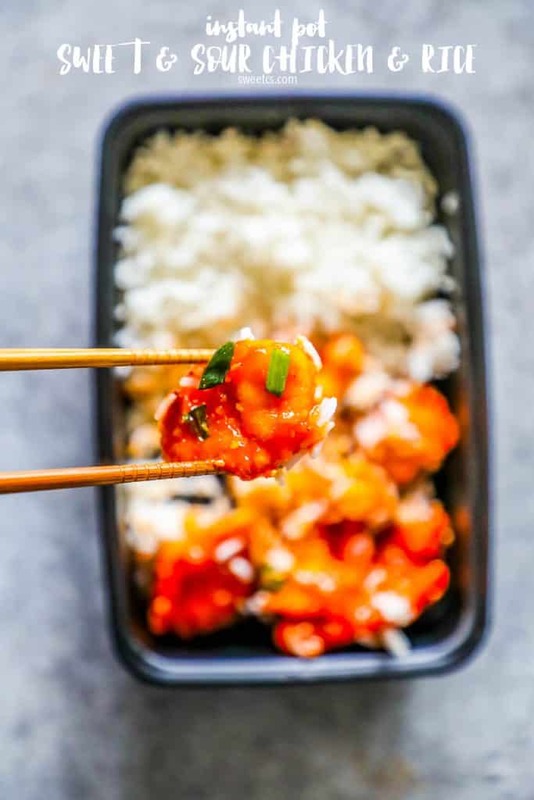 Instant Pot Sweet and Sour Chicken Meal Prep Bowls are a delicious, easy, one pot meal the whole family loves! Make an entire week’s worth of meals in just one pot! One of my favorite Chinese food indulgences is sweet and sour chicken. There’s something about the tangy zip of the sauce, a lightly breaded chicken, and a side of fluffy rice from a local joint that just can’t be beat. 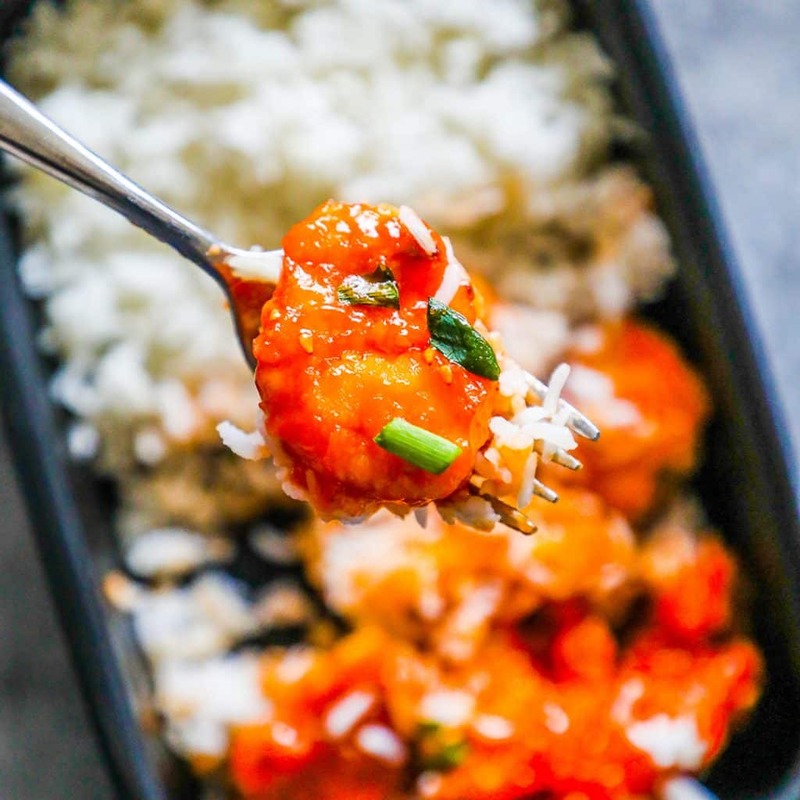 This Instant Pot Sweet and Sour Chicken Meal Prep Bowls are so incredibly delicious, easy, and simple – and you can make an entire week’s worth of this meal in under 30 minutes! This meal is truly a family-pleasing lifesaver – and one I know you’re going to love. It’s made us even bigger fans of our Instant Pot! JUST TAKE ME TO THE INSTANT POT SWEET AND SOUR CHICKEN MEAL PREP BOWLS RECIPE ALREADY! 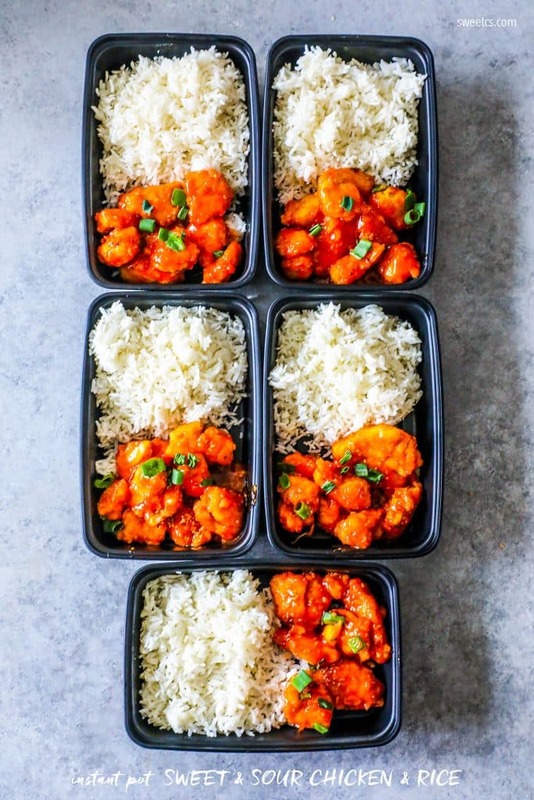 If you’d rather skip my (very helpful, i think) tips and tricks, essential cooking info, and similar recipe ideas – and get straight to this deliciously easy hearty Sweet and Sour Chicken + Rice Instant Pot recipe – simply scroll to the bottom of the page where you can find the printable recipe card. Making lunch ahead of time is such a weakness for me – but the Instant Pot has been a total lifesaver. With my instant pot, I’ve been able to quickly make meals ahead of time – without waiting around forever. 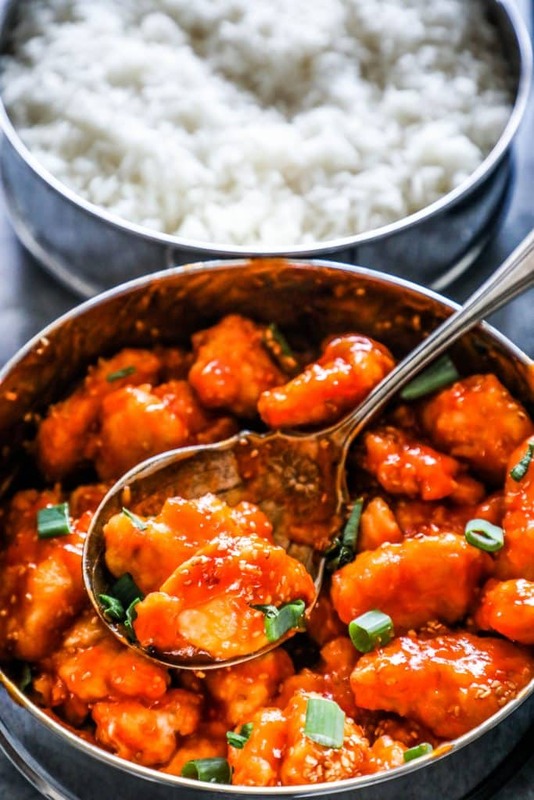 It’s a huge timesaver to make large amounts of food in just a few minutes, with perfect results – and this Sweet and Sour Chicken is a perfect easy way to plan out your week – especially since the rice cooks in the same pot as the chicken! 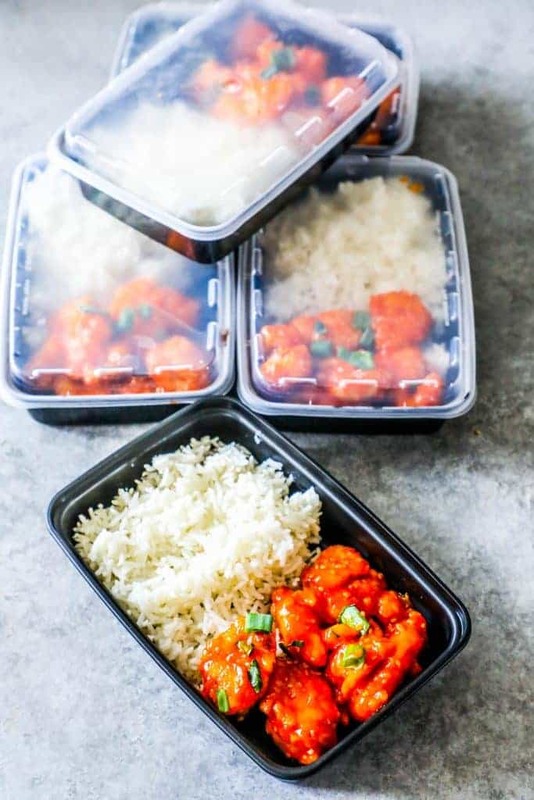 These BPA free plastic meal prep containers are the perfect way to divide up a big meal and have lunch on the go ready for a busy work week – and are incredibly sturdy and long lasting. These plastic meal prep bowls also don’t stain – making them my all-time favorite for cooking for the week ahead. I love being able to cook rice and a meal in just one pot – talk about simple and easy! There is a little bit of a trick to making pan-in-pan rice work – you should put the rice pan right under a lid, and DO NOT uncover it when you remove it from your instant pot when the chicken is done cooking. I simply take the chicken out, let it rest, and place the rice (with the pan lid still in place) and sit for about 10 minutes. This will help it carryover cook and get nice and soft. If you find your rice is a bit too firm, simply pop it back in the Instant Pot for another 3 minutes and force release. It will be perfect! Full roasts done in under and hour, soups in 10 minutes, it can even cook whole chickens! If you love this delicious and easy pot in pot Instant Pot Chicken and Rice Recipe, please check out some of my favorite Instant Pot Meals the whole family will love! Instant Pot Skinny Steak Soup; Just 3 Points! 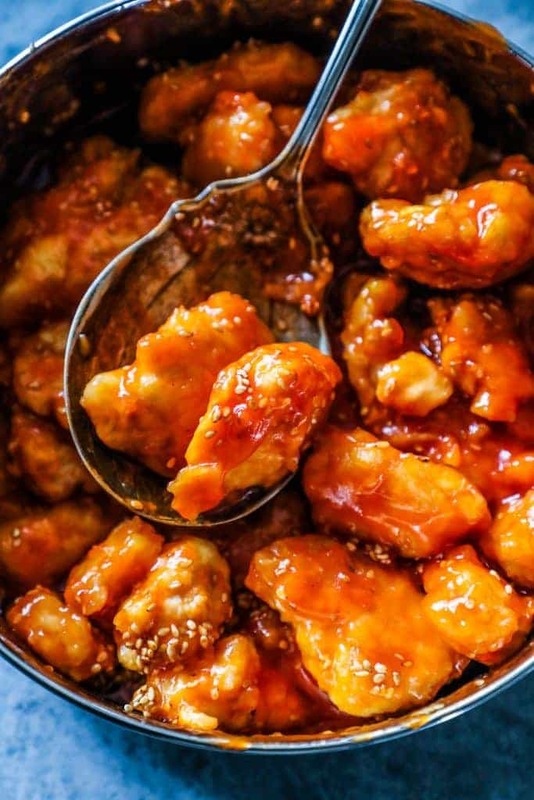 If you love this Instant Pot Sweet and Sour Chicken Meal Prep Bowls Recipe as much as I do, please write a five star review, and be sure to help me share on facebook and pinterest! 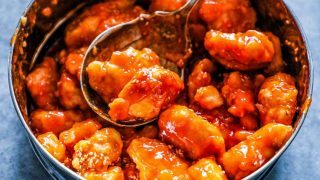 Instant Pot Sweet and Sour Chicken Meal Prep Bowls are a delicious, easy, one pot meal the whole family loves! Make an entire week's worth of meals in just one pot! Turn instant pot on to sautee- let fully heat before adding any food for it to be truly nonstick. Add cornstarch, flour, and eggs to small individual bowls. Dredge chicken in cornstarch, followed by eggs, and then flour. Add oil to instant pot when hot. Add dredged chicken, let brown on each side about 5 minutes, until golden brown and slightly puffy. Remove chicken from instant pot pan, and place in pan insert, top with sweet and sour sauce. Deglaze instant pot with water, make sure there are no bits stuck to bottom. Add chicken pan into instant pot. Add rice and 2 cups water to second pot insert. Add lid on top of rice. Set on high for 3 minutes, let naturally release for 10 minutes. Garnish with sesame seeds and green onions, if desired. Multiple thumbs up from all of my kids. The only variation I did to the recipe was adding red peppers and pineapple to the chicken and sauce for the 3 min cook. How do you “carry over cook” the rice? Just put the instant pot lid back on, or turn the instant pot back on? Just leave lid on for the container you cook the rice in for another 5-10 minutes – the container is still hot, so it will keep cooking the rice even when you open the instant pot and remove the rice container. Sounds like a great recipe. Can’t wait to get an instant pot to try it. By the way, the colour of the font on your blog is very hard to read. It’s small, but I can enlarge it. Did you use plain white rice? Will 3 minute cook time also work for jasmine? When do you add the sauce? The sautéed chicken goes into the pan insert without any sauce or water? Nevermind. I just watched the video! But you may want to update the recipe. Thanks! Looks yummy!